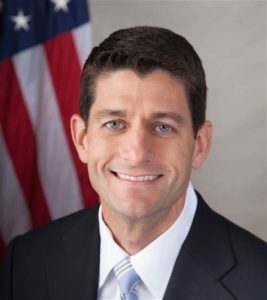 SAN DIEGO–Paul Ryan, the 54th Speaker of the United States House of Representatives (2015-2019), will address the 2019 Spring Conference of the National Investment Center for Seniors Housing & Care (NIC) on Feb. 21 in San Diego. At the Opening General Session, scheduled from 8:00 a.m. to 9:30 a.m., Ryan will deliver keynote remarks and participate in a “fireside chat” with John J. Kelliher, managing director, Berkeley Resource Group, and former chief counsel of the Committee on Ways and Means of the U.S. House of Representatives. The 2019 NIC Spring Conference will take place February 20-22 at the Hilton San Diego Bayfront in San Diego.